20% off all orders over £10! Valid until 8th June 2018! Stock up on your favourite spices and blends with our 20% off all orders over £10. 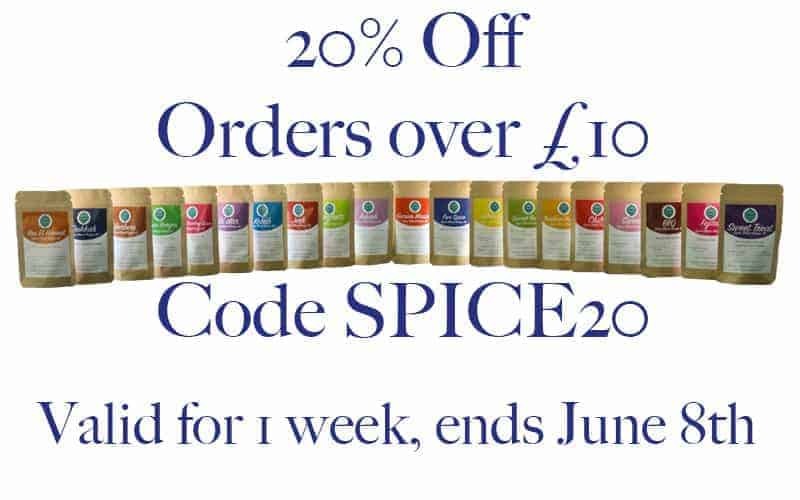 Valid for 1 week, get your orders in and try some of of new blends or add one of our spice tins to keep your cupboards organised. We have just launched our take on a Five Spice Blend. This contains Sechuan Peppercorns to offer a fruity flavour to a traditional spice blend. Also Great on chicken, tofu and eggs. Keep an eye out for more new blends coming in the next weeks and months.